nevard_110123_combwich-53809_DSC_211127b_web, originally uploaded by nevardmedia. At Combwich, a nicely buffed up 82005 prepares to take on coal next to the foreman's Morris Traveller. 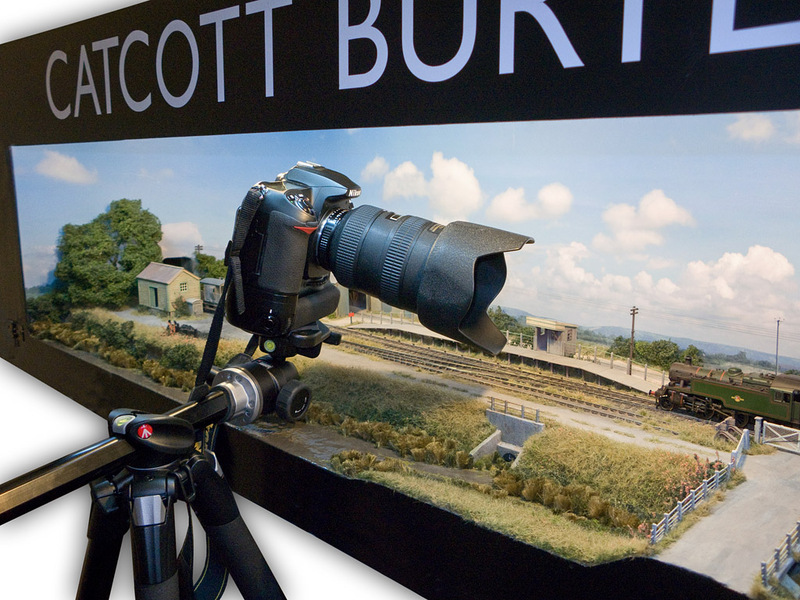 For most layout photographic commissions we have to use portable studio lighting to get the best out of layouts because most model railways are nowhere near a good source of natural light or are lit by domestic spotlights. This type of artificial lighting, whilst popular is totally unsuitable for photography because of multiple shadows and uneven pools of light it generates. Tip: do what Pendon do and use fluorescent tubes if you want to use your layout for photography, modern digital cameras cope very well with this type of lighting. Sometimes though the layout can be placed next to a window, the soft lighting especially if on an overcast day can produce a very nice luminous quality. 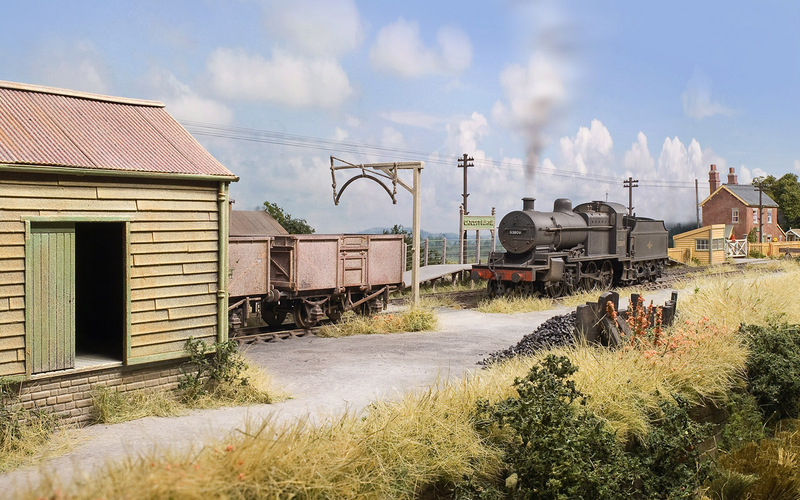 For the shot here, the layout was placed at about a 70 degree angle to the window, the angle being important to add a bit of modelling which highlights texture and detail. In the digital darkroom, apart from some basic level control (which is no different to the old days when we used to send negs away for printing or do our own at home), the only computer addition is the little whiff of smoke. Oh yes, and the use of Helicon Focus to extend the depth of field, that however will not have added anything that isn't actually there. Watched by Tiddles the huge station cat bruiser, SDJR 7F No. 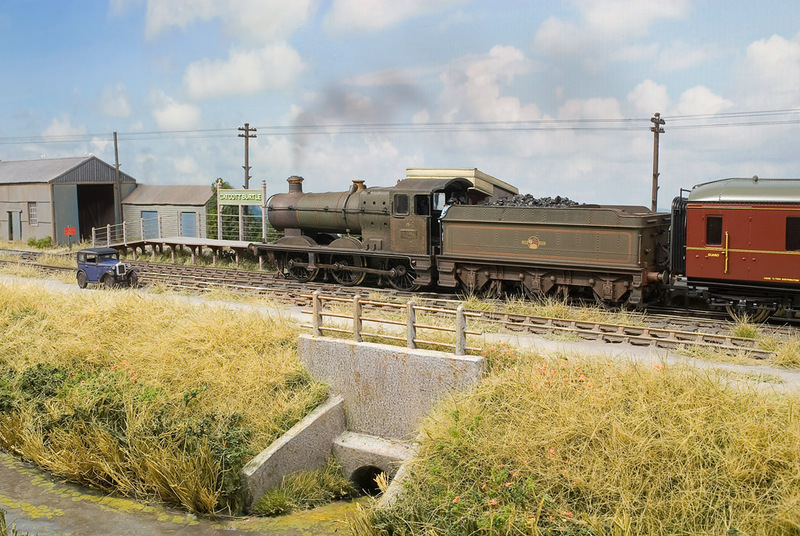 53809 arrives at Combwich with the afternoon goods from Evercreech Junction during the August of 1961. 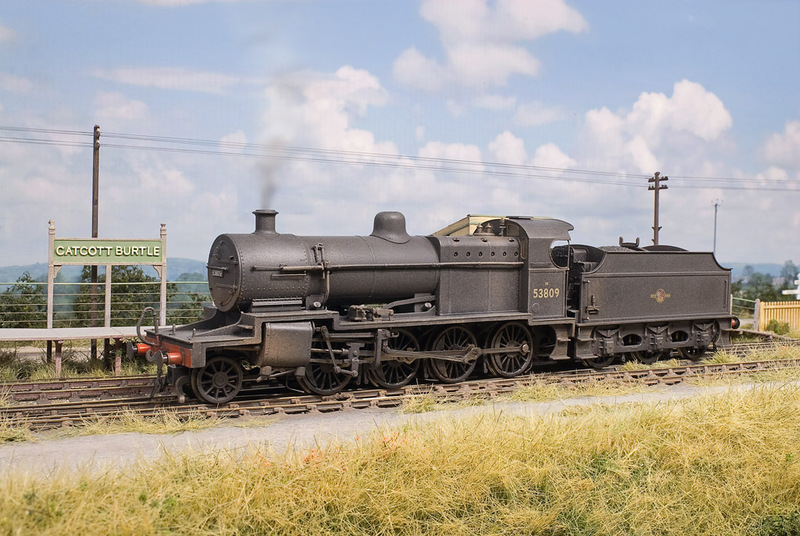 This is of course the rather super new Bachmann SDJR 7F 2-8-0 which has appeared a few times over the last few week on this blog. The big difference now is that I have at last almost finished the weathering process. I never weather in one go, but tend to do it in stages over a few days or even weeks, for it is very easy to overdo weathering and end up with something crude if rushed. 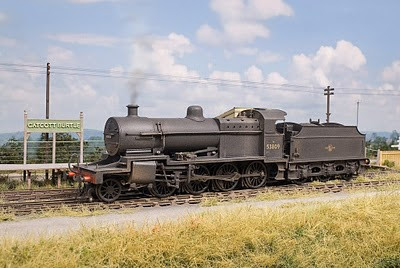 I also like to see how the loco looks in different light and how it compares to other items of stock that it will be running with - that and of course using as many colour photos as one can find for reference. And that aspect now has been taken care of due to this wonderful resource in the form of Barking Bill's Photostream which is the real reason for this blog post! The obligatory WIDESCREEN wallpaper version is here! 60026 arrives at Cement Quay Old Wharf with a and empty short rake of MFA high sided box wagons. The loco will uncouple and run around the train before propelling it under the screen for loading. Click to enlarge. 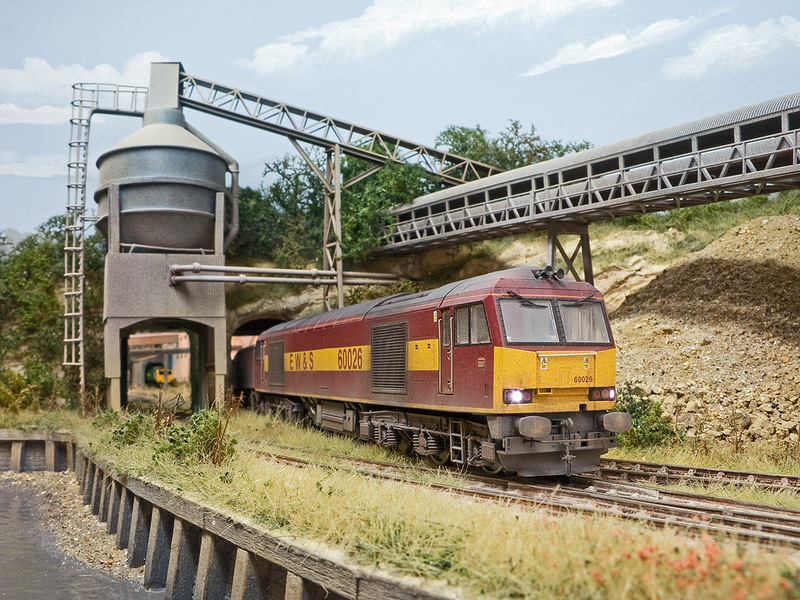 When photographing a model railway for publication it is generally desirable to replace the garage or office wall with some kind of wishy-washy pale blue, grey or white background in the event of the layout having no or a very low backscene. This I’m sure most will agree quite acceptable practice, for even 100 years ago such photographs would be tidied in such a manner by painting out part of the negative. The only way to avoid this would be to make sure that the camera always points downwards, which to be honest is likely to be a very dull experience for the reader. In the olden pre-digital days, for those layouts without backdrops, large rolls of pale blue coloured paper or cloth would be suspended behind the layout during the shoot; this could prove quite a slow process due to space and the ability to light the cloth or paper evenly. These days we can use photo editing software to achieve the same if not better result allowing the photographer more time to concentrate on new, creative angles and good lighting. This is all good news all round, but I’ve noticed increasingly on the printed page a tendency for all sorts of non-layout things starting to appear behind or even in front of layouts, frequently this is in the form of actual landscapes pasted in, making it possibly quite tricky for the reader to work out what’s really there - or more likely not. Personally I won’t take this route because is not about me and how clever I may of may not be at photo editing, but about showcasing the layout and all the hard work that’s gone into creating it. And then, what is the exhibition goer going the think when they finally see that their favourite layout in print doesn’t have Chatsworth House or the Yorkshire Dales really lurking in the background in full focus? However, recently and possibly controversially I add a little ‘clag’ to steam shots, though I hasten to add that I always make available a set of photos ‘without’ and leave the editorial team and layout owners to decide which set of shots they want to use (which surprisingly has been a ‘yes’ to clag most of the time). It’s a bit like Marmite I guess, you either love it or hate it? And I’m sure most readers will know that the miniature locomotives don’t really spout out smoke, not unless 240 volts has accidently been zapped through them. Maybe I’m just adding what the brain imagines when looking at our miniature world, bar and the hiss, chuff and clanking noises? Comment! What’s the shot at the top of the page got to do with it all? OK I admit it’s taken on my layout – but shot-wise it’s what I like to aim for with other people’s layouts if at all possible, especially if there’s a nice high backscene to allow a low angle like here. I can safely say that if you ever see the layout for real, pop your eyeball out and rest it on the edge of the layout (I’ll even give you a blob of Blu Tac if that helps) this is exactly what the naked eye will see. But, if your layout doesn’t have a nice high backdrop, I promise never to add the Himalayas or the Massif Central if ever I’m lucky enough to photograph your pride and joy! I'm freqently being asked about how to produce the super super speedy old fashioned style concrete effect as seen on the culvert here on Catcott (click to enlarge). After much pressure from emails via my website and people at exhibitions I finally caved in to produce a 'here's how' featurette for the January 2011 issue of Model Rail Magazine. And I must say that the Fabulous Bauer Boys have done a wonderful job putting my random jottings and snaps into a super looking and coherent article that hopefully can be of use to modellers who want to venture beyond a slap of grey paint. 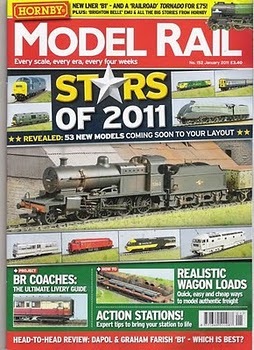 Model Rail is available from all good news agents or can be ordered online here! 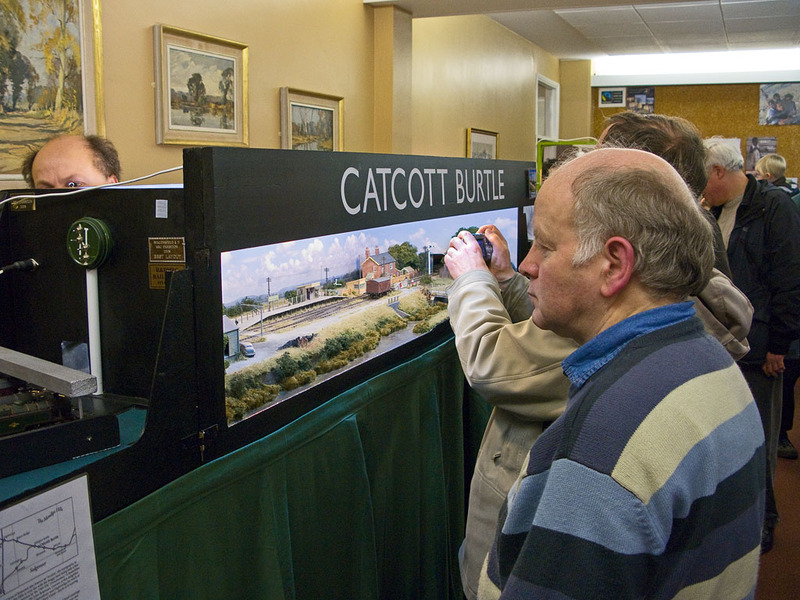 The Astolat Model Railway Circle Annual Exhibition on Saturday 15 Jan went very well indeed after a quick set up of only 17 mins from getting out of the car to running a loco. Much to my surprise the layout performed admirably as it did at its last outing at Railex in May 09, with the only 2 derailments of the whole day being caused by not placing stock properly onto the fiddle yard tracks in the first place - duh! The newly installed working level crossing gates went down a treat with the audience, that and the sunflowers growing in the crossing keeper's garden (why bother with the trains?). A special thank you must go to Dave Renshaw who kindly gave up his day to assist running trains - I hope it wasn't too stressful! The tweeded gent to the left isn't an escapee from a society finescale railway modelling gathering, but the charming Bob Symes who may be familiar to those who remember 1960's & 70's TV - Model World and Tomorrow's World. Amongst other things he also hosted 'Bob's Your Uncle' (Childrens Channel) in the late 1980's. Enough from me, even though Dave R did all the work running the trains, it's now time for a pint. Next? Full steam ahead with Brewhouse Quay! Toot toot! Ah - gotya! I expect you were hoping for some prime totty! Sorry, nothing so exciting, but what would you expect on a toy train BLOG? But I can tell you that my huge heavyweight vintage pro spec Manfrotto Art 075 tripod is suffering with 4 broken leg extending clips after 25 years of use - not bad, it having been made in a country better known for cars that rust when new and dishwashing machines. Getting hold of spares has been impossible, so for the last few shoots I've been resorting of using a pair of pliers for any leg length adjustments - which is rather tardy to say the least. So, whilst I await some other kind of mechanical fix for 'the beast' probably involving a keen chap with a foundry and skills normally used maintaining the Eiffel Tower, I've taken delivery of a Manfrotto 055XPROB. Why this model? Well, it has an arm which allows me to suspend a camera actually above a layout which is something I've never been able to do until now. Benbo is a well known make that's been doing this 'arm thing' for years, but with Manfrotto now taking this useful route, it allows me to use my various tripod heads (a ball and socket being seen in the shot). So, here we have a snap of a camera taking a shot of another camera taking a photo of Catcott Burtle, the view as you would briefly see shortly before hitting the ground at 120 MPH - if having fallen from an Tiger Moth! In preparation for the weekend show in Guildford at the Astolat Model Railway Circle Exhibition, I've finally managed to bodge up some working crossing gates and a working signal. I won't go into too much detail for the mechanical brigade will probably shudder at my Heath Robinson approach using brass rod and code 75 bullhead rail; you'll just have to imagine - but if you come along to the show at the weekend I'll let you look under my drape and the mechanical contraption - ooh err Mrs! nevard_110109_pines_DSC_20926_BW_web, originally uploaded by nevardmedia. 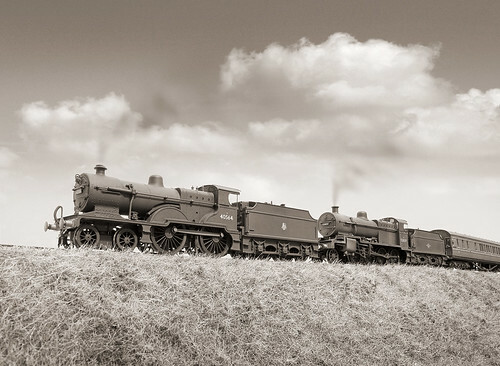 Acclaimed West Country snapper Ivan Locksmith with his Rollieflex and a roll Kodak Tri-X captured this photo of the Cleethorpes to Exeter pounding up the Mendip slopes near Masbury ably hauled by 40564 and 53809 in August 1959. On summer Saturdays Bath shed was frequently short of motive power, so a SDJR 7F heavy freight locomotive was often rostered on to assist over the Mendips and was always marshalled on the inside. The reason for no crew being seen, is because there was a group of naked ladies running through the field on the other side of the embankment being shot of a Carry On film! 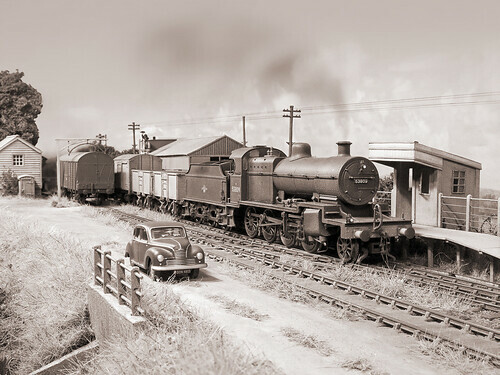 The miniature representation here consists of a renumbered and painted Hornby LMS 2P 4-4-0 and the new Bachmann SDJR 7F 2-8-0. The coach is a 25 year old Mainline LMS panelled carriage repainted into maroon and lined out. The foreground is my stock photo-thingy and a summer sky added to replace the magnolia wall this little cameo was shot against. Want to see this shot in widescreen and colour? nevard_110103_catcott_IMG_8887_01_web, originally uploaded by nevardmedia. Catcott’s first outing in well over a year is now just a few days’ ways. The railway has been set up with a view to giving it and up and under to hopefully ensure a hassle free experience for the public and for me. Jobs so far have been to tidy up the reeds along the front and to relay one of the fiddle yard sidings that had gone out of gauge due to me being too tight with the amount of copper clad used. 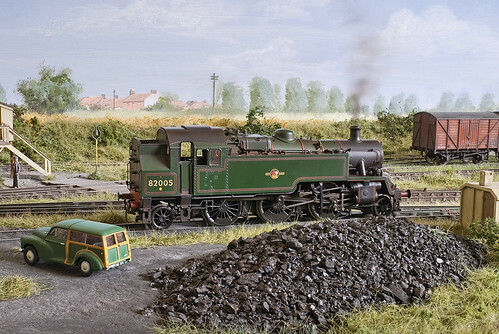 Later this week, I hope to give the layout a good run with any new items of stock that have appeared since the layout’s last outing which was Railex in May 2009. The snap here is just a ‘serving suggestion’ and not part of the display, the Neolithic background being a quicker option that tidying up the room that layout it set up in! 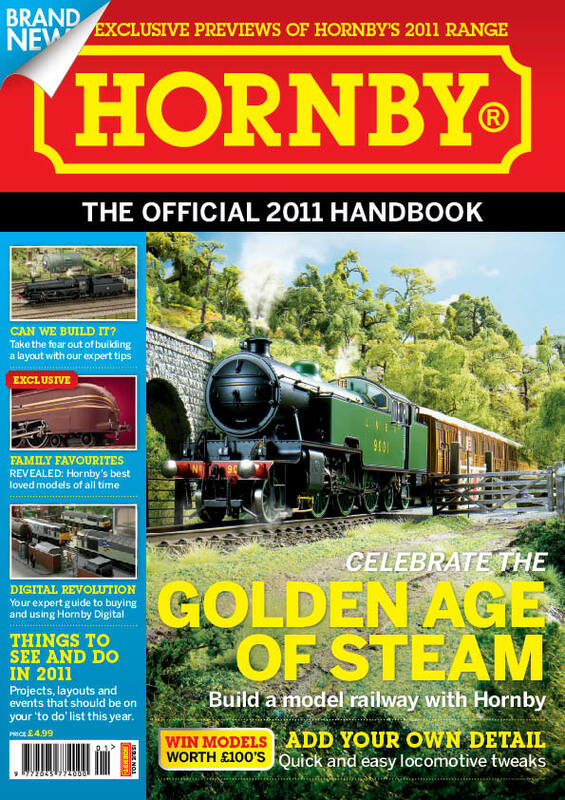 Hornby 2011 - The Official Handbook is on sale from 5 January in all good newsagents and model shops, price £4.99. 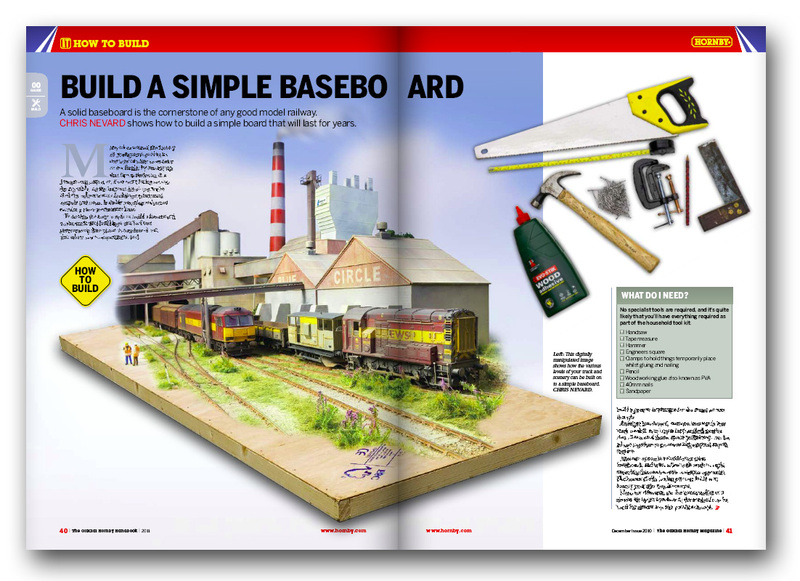 'Model Rail has teamed up with model railway giants Hornby to bring you an exciting new publication. Hornby 2011 - The Official Handbook is a high-quality 132-page publication and is the only magazine officially endorced by Hornby. It contains full details of the company's 2011 range of models. including background information on the latest all-new locomotives and rolling stock, and news of some very exciting developments in the next year's programme. 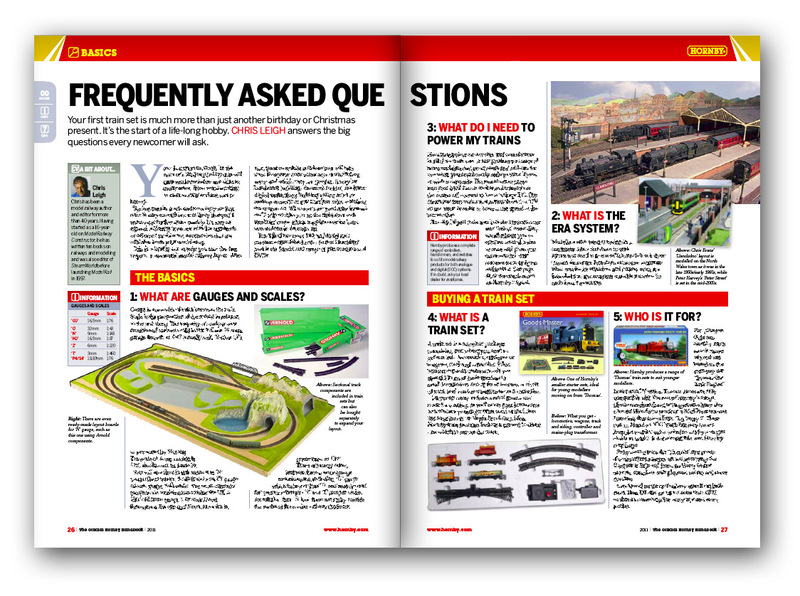 To compliment all this news, the handbook will help you to choose the right trainset, find a home for your next layout, lay your track, experiment with detailing and improving locomotives and rolling stock, and help to get you started with Hornby Digital. 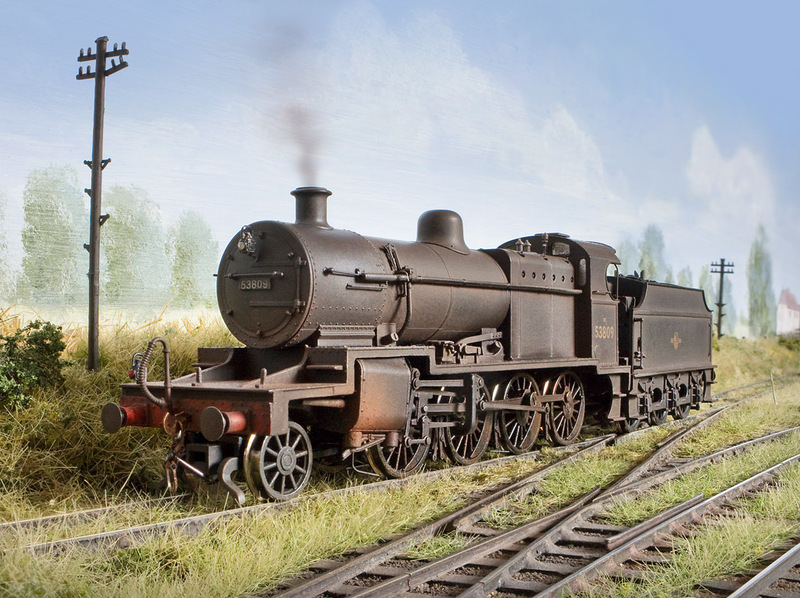 • Win Hornby Models Worth £100s! • What’s That Bit Called? • What Exactly is DCC? nevard_110107_catcott_IMG_8924_BW_web, originally uploaded by nevardmedia. Influenced by Ivo Peters' fabulous photo of of his famous Bentley posed next to a down goods train at Binegar (or was it Chilcompton? ); Ivan Locksmith didn't delay in creating a similar shot to Ivo on the day he part exchanged his elderly Austin Seven for a shiny Jowett Javelin. 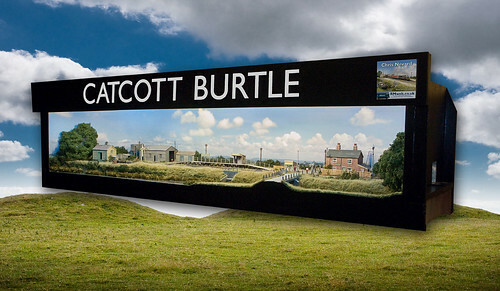 Here is the photo that was taken at Catcott Burtle with a goods from Highbridge Wharf. Just a bit of fun! Wnat to see it in colour? SDJR 7F 2-8-0 No. 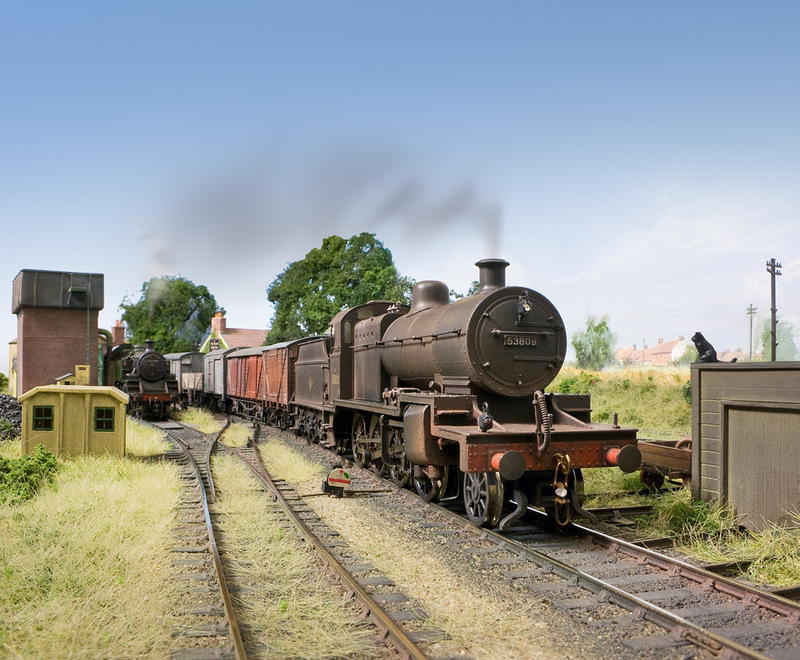 53809 is captured on a stinking hot day in the summer of 1961 shunting at Catcott Burtle. The loco is of course the new Bachmann SDJR 7F and is seen here after stage one of a little weathering. In due course I'll add some more colour washes, lamps and a crew. 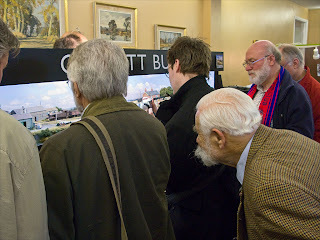 Chuff chuff buffs from Tunbridge Wells will notice that the tablet catcher is now in the retracted position too. 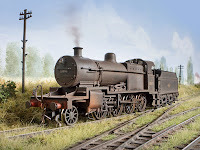 You'll be able to see this locomotive and layout on Saturday 15 January 2011 at the Astolat Model Railway Circle Exhibition in Guildford, Surrey. 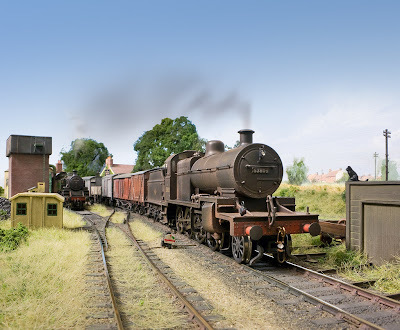 The new Bachmann S&DJR 7F 2-8-0 performing some test runs on Catcott Burtle. Any jerkyness seen will be the YouTube processing and compression. In real life I'm very impressed by the smooth running qualities - sadly not seen here on YouTube. For my original review and some nice stills, follow this LINK. nevard_110103_catcott-reeds_IMG_8878_web, originally uploaded by nevardmedia. When somebody mentions hemp, especially if they look a tad thin, speak rather slowly in a warbling manner, have their hair platted, wear colourful home knits as well as knitting their own wall paper, we tend to associated it with something smoked that will generate a mind altering experience. Yeah-man! For most people who are not so much into ‘vegetable rights and peace’ as coined by Neil off the early 1980’s BBC comedy ‘The Young Ones’, they will know it is the key ingredient of another kind of joint and one which is serviced by a plumber to stop leaks. Us modelrailway nutters have a third use for it, and one that is mainly artistic. 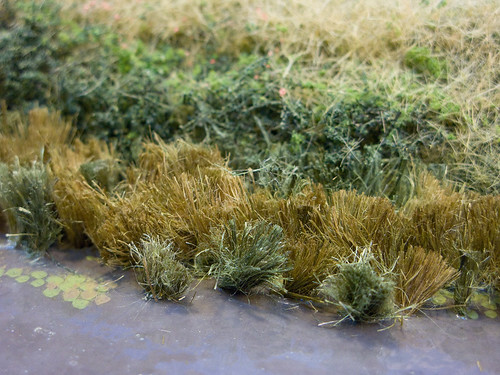 The fibrous nature of the stuff which looks oddly like the hair of a hippy is perfect for replicating anything from miniature thatch through to fields of barley at Pendon, and in my case reeds when coloured. The above is part the canal side reburbishment of Catcott Burtle currently taking place for the Astotolat Model Railway Show in Guildford on Saturday 15 January 2011.